I remember 2011 Super Bowl Sunday like it was yesterday. The game was about to wrap up and I sat in the living room staring at our computer, logging our expenses for the month. I told Doug what I was woRkiNg on. He responded by asking, “Lara, WHY do you even do that? We’ve been doing this for years and it comes out to the same number every month!“ After talking about it for a while we went to bed feeling defeated. 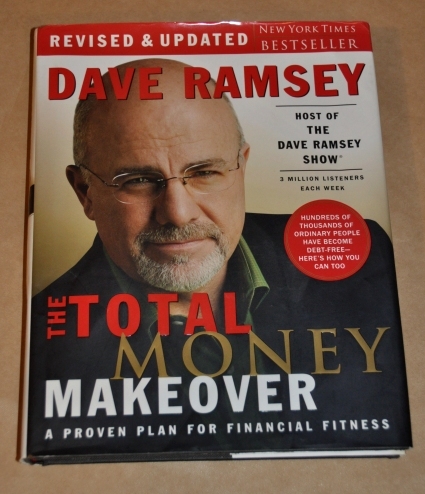 I couldn’t fall asleep and happened to see the “Total Money Makeover” book by Dave Ramsey on the night stand. (I had ordered that book earlier in the week because a friend had recommended it.) I ended up reading the first three chapters and my financial atTituDe was forever impacted. I anxiously told Doug about it the next morning and, from that day on, we started working the basic principles to become debt free. We revamped our expense sheet, made new gOaLs, and most importantly worked like crazy. Doug got up with me and worked a few hours painting blocks before he went to his day job. We stayed home on the weekends and worked every free chance we had. We got the entire family involved in the process. It was a little cRazY but we finally started getting traction. Looking back, I can’t believe how much we’ve accomplished. We not only drastically changed our financial situation, but our family has become even more of a TeaM. It is still a work in progress but we are on our way to changing our family tree! I am sharing this with you because if someone didn’t reach out to us, who knows how long we would have stayed in denial. As humbling as it is to admit our faults, I take cOmfoRt in knowing our story may help someone going through the same struggle. Check back in on Thursday, for my Part 2 of this story! Get on your way to financial FREEDOM!